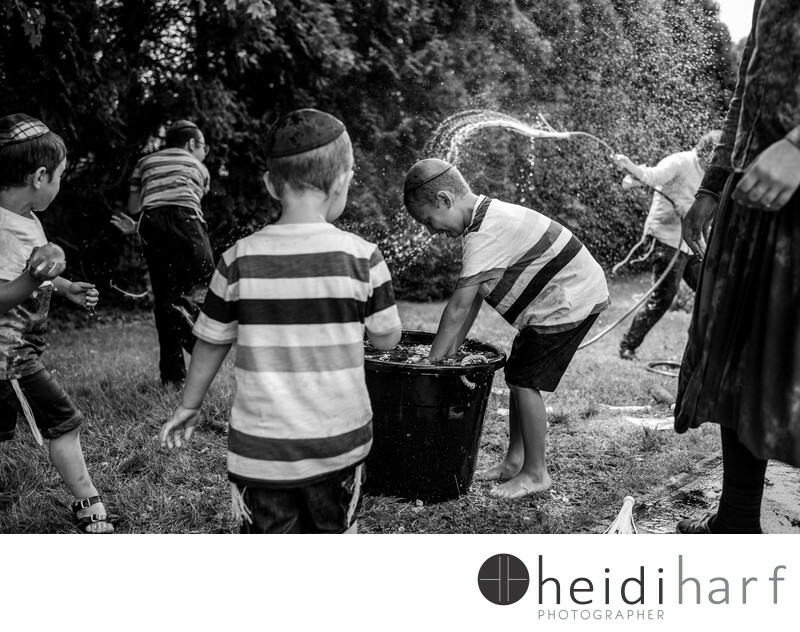 Kids get excited with water balloons and a hose. A great summer day with family. Location: East Hampton New York.